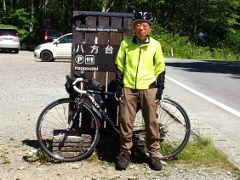 Today, I left Shinkashi Onsen and pedaled toward Takinohara Onsen. The route included Route 289, 121, and 352. At first, I had to go through three long tunnels. 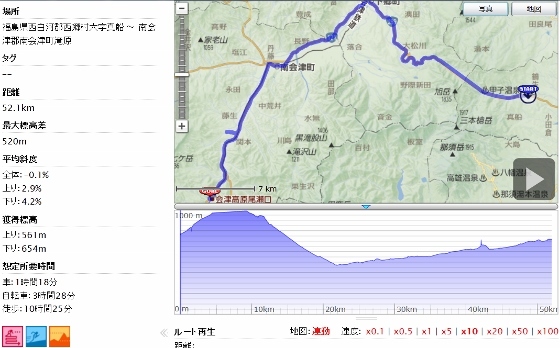 Then, long down hill followed until I passed through the town of Aizu-Tajima. After that, I visited Okuaizu Museum on the way of Route 121. Four pictures are shown below related to the long tunnels on the Route 289. 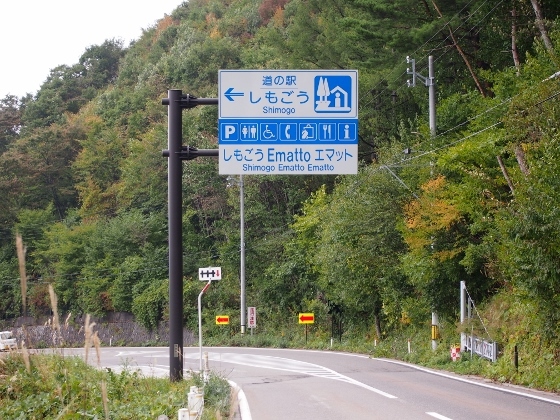 The first one shows the exit view of the Kibitaki Tunnel. This tunnel had a branch inside. 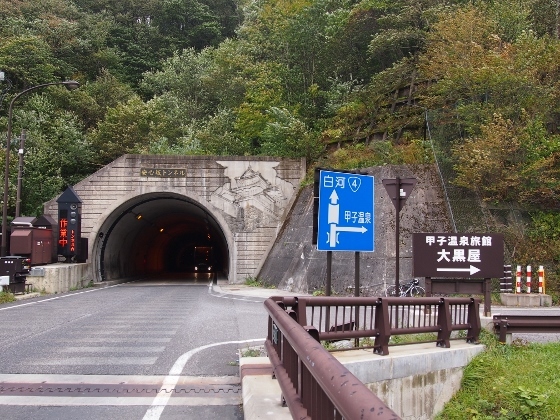 The second one shows the exit view of the Anshinzaka Tunnel. 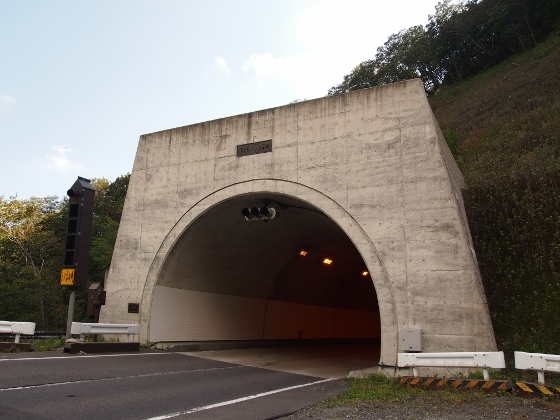 This tunnel had long winding road with hill climb. 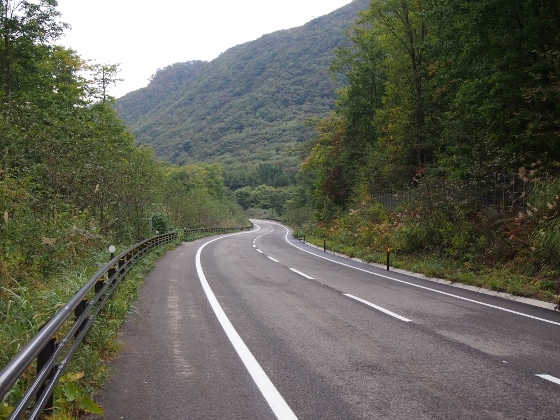 From this exit there was a branch road to Daikokuya Inn of Kashi Onsen which was the only inn there. Soon after this, there appeared the longest Kashi Tunnel. Due to the high altitude of nearly 1000m, the temperature today was 9 degrees Celsius and the autumn red seemed to be beginning. As shown in the last picture, the Kashi Tunnel was 4.3km long. 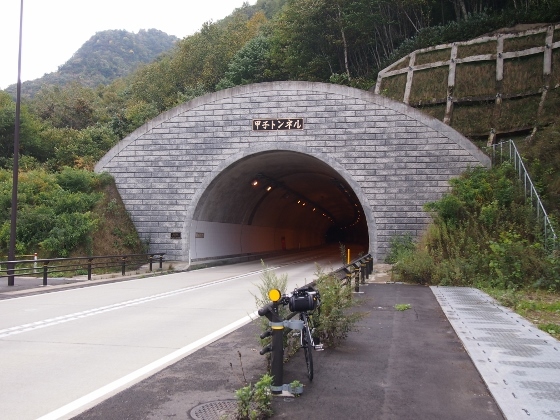 This tunnel had no side road for bike; however, due to the flatness all the way and the good condition of the side lane I could pedal safely. After the exit from Kashi Tunnel, the long downhill continued as shown in the picture above. 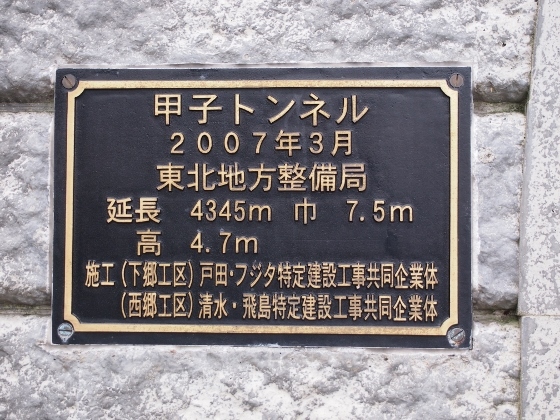 On the way, there appeared "Shimogo" Road Station as shown in the pictures above. 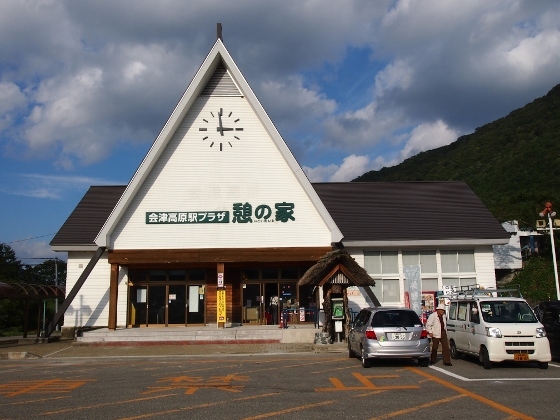 The area was clouded with people purchasing Aizu made products and taking rest. 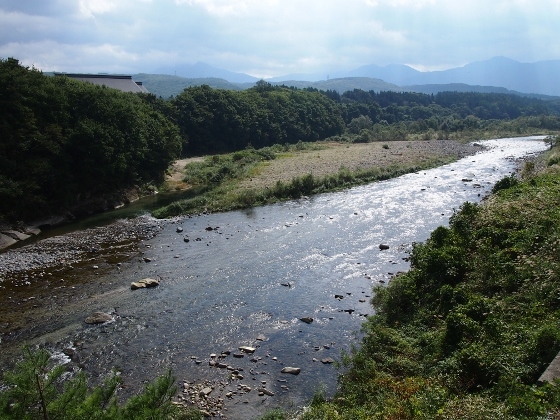 The road went along Aga River as shown in the picture above until I passed the town of Aizu-Tajima. 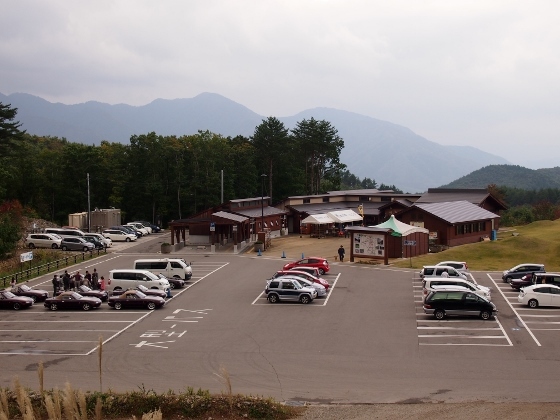 The picture above shows the Okuaizu Museum which was located near the Route 121. 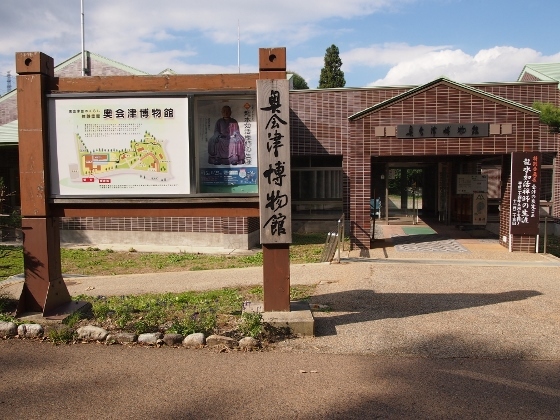 This museum displayed more than 5000 National significant tangible folk cultural properties. One of them was shown in the next picture. 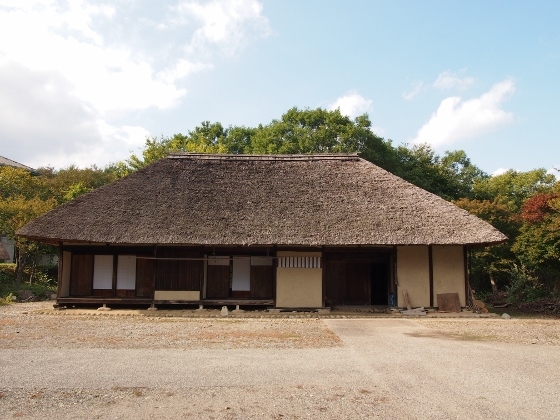 This was an old inn of the Edo era, and you could also see the inside as shown in the last picture. 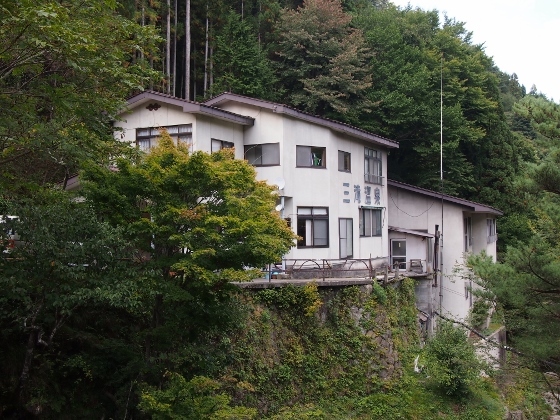 Today I stayed at "Mitaki-Onsen" Inn as shown in the first picture. 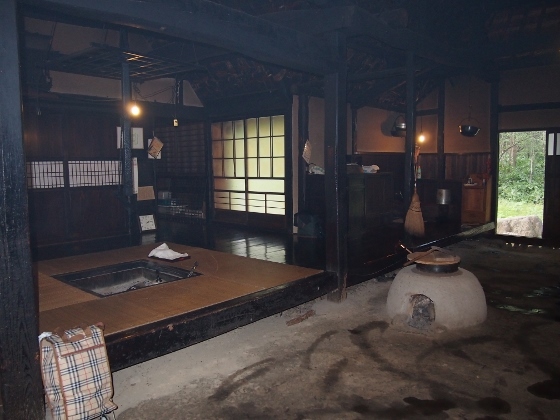 The Takinohara Onsen was small and this was the only inn. I could see the view of the river fall from my room as shown in the next picture. The bridge above was the Route 352. 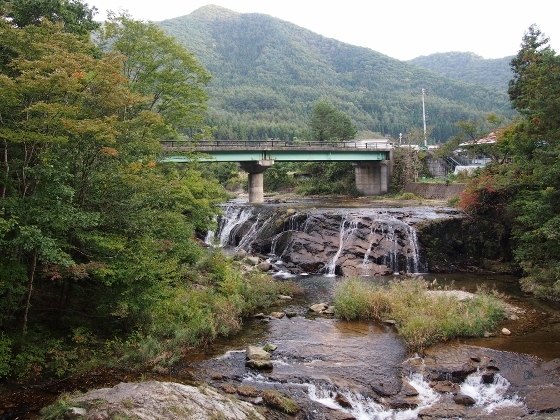 Across the bridge there was the Aizukogen-Ozeguchi Station of The Aizu Railway Co. as shown in the last picture. Since the spring here comes out with 35 degrees Celsius, the spring water was heated and was flowing into the bath with no circulation. The quality was good. Prince Takamatsunomiya had also stayed here before, and there were also some foreign visitors today; however the inn charge was the same level as personal inns.